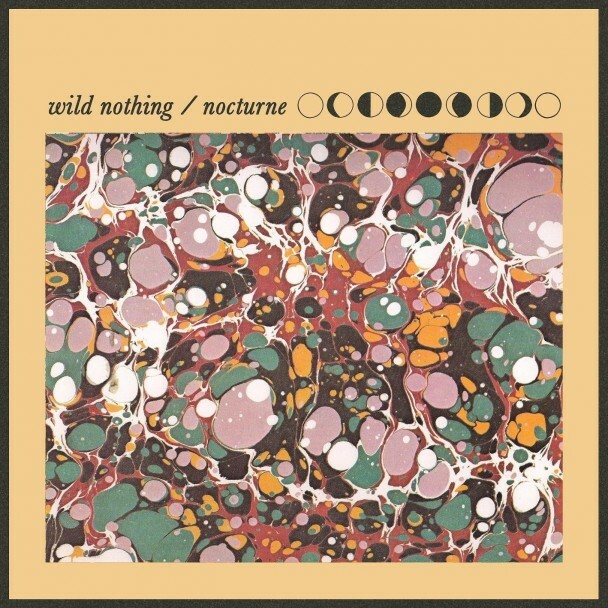 Wild Nothing is the recording name for dream pop artist Jack Tatum. Established in 2009, Wild Nothing released their much acclaimed debut album ‘Gemini’ in May of 2010. An atmospheric shoegaze album minus the wall of noise guitars that often characterize the genre, ‘Nocturne’ takes influence from Pale Saints, and The Go-Betweens and combines it with hints of Atlas Sound, Cocteau Twins, and label-mates DIIV, to create its own dreamy concoction. The first single “Shadow” is also the album opener; a magnificent and dreamy pop song smothered by a thick and warm layer of synths. The vocal melody is reminiscent of The Smashing Pumpkins “Tonight Tonight” yet with its dead snare sound and strumming acoustic guitars “Shadow” also has a 70’s feel to it. Listen out for The Cure-like strings/keyboards around 1:20. In what initially sounds like fellow Captured Tracks artists DIIV with their shared love of The Cure style guitar lines, “Midnight Song” steers down a more pop driven road with Teenage Fanclub and The Go-Betweens sensibilities. Though dreamy and atmospheric with its heavy use of synth-pads, ‘Nocturne’ is surprisingly almost always up-tempo even exhibiting a summery quality overall. The title track is a gorgeous up-tempo number that reintroduces strumming acoustic guitars to the mix. The most direct and pop song on the album, “Nocturne” calls to mind Phoenix particularly vocally and when Tatum sings “you can have me” over and over, there’s no catchier moment on the album. The final section with its melodic guitar lead is particularly gorgeous. The up-tempo flow to the album is briefly interrupted with the arrival of “Through The Glass”. While still featuring the album’s hazy atmospherics, the song’s odd time signature and arrangement, flamenco guitars, minimal hooks, and synth bass bridge make for a peculiar listen. “Only Heather” restores the flow with an up-tempo immediacy and vocal hook that evokes The Jesus and Mary Chain, likewise “Counting Days”, along with the title track, is possibly the catchiest number on the album with its Teenage Fanclub meets Phoenix like poppiness. Meanwhile “Paradise” with its almost baritone vocal is a stand out track flavoured by a funky bass line, tasty rhythmic guitars and kitsch 80’s synth characteristics. The final two songs, “The Blue Dress” and “Rheya” are the most atmospheric and exude a sense of nostalgia. More down tempo than any of the previous tracks “The Blue Days” in particular recalling The Cure and Slowdive. A dreamy delight, ‘Nocturne’ is released today (28 August, 2012). You can also stream the album in its entirety via Dazed Digital.